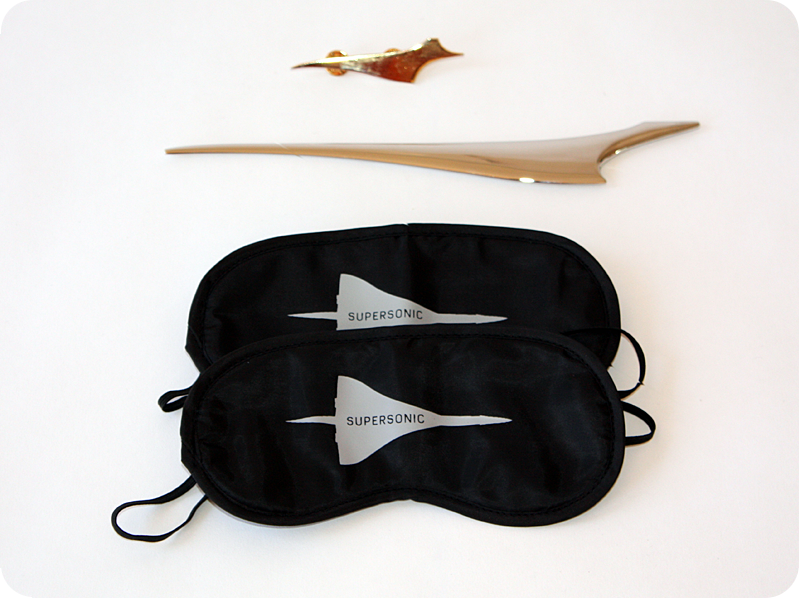 I started collecting Concorde memorabilia by accident but now it’s become a “thing.” I think the Concorde had a lot of meaning for people over and above the elite, faster-than-sound travel aspect. 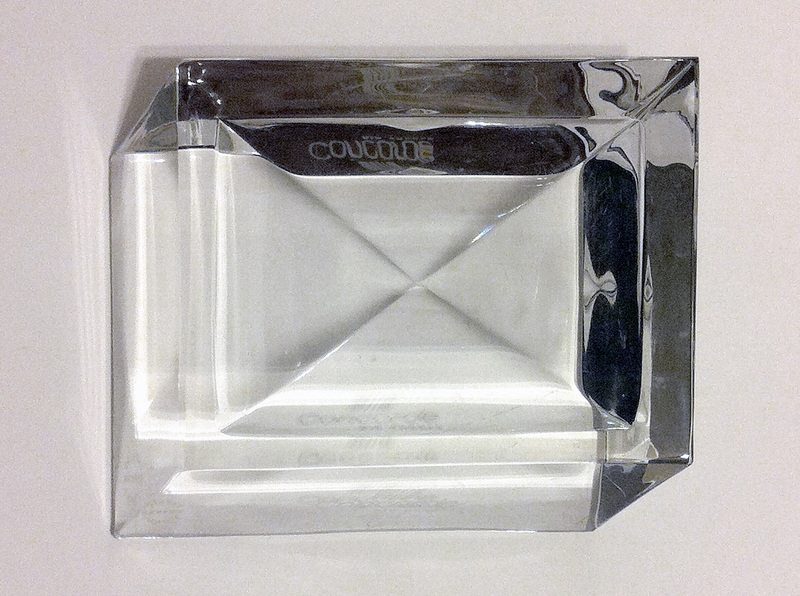 It represented Progress and a vision for the Future. 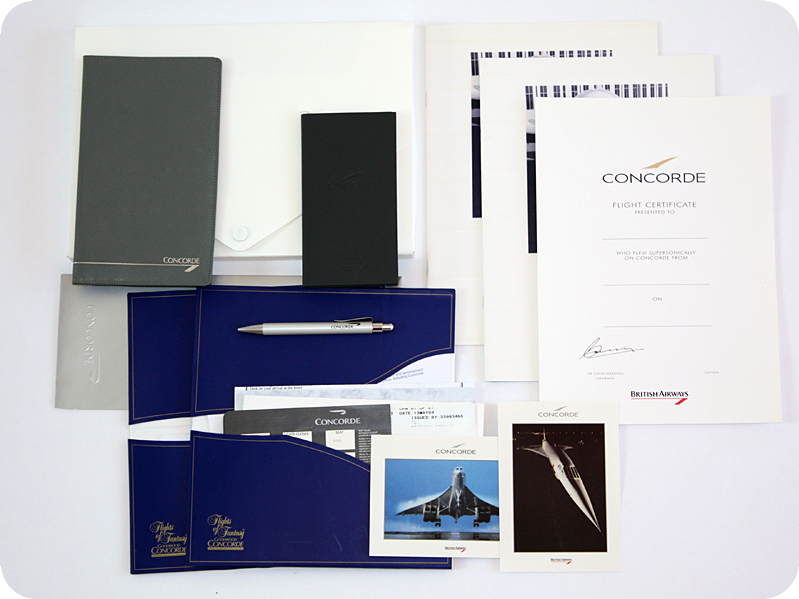 I did get to fly on the Concorde right before it ended service in 2004. 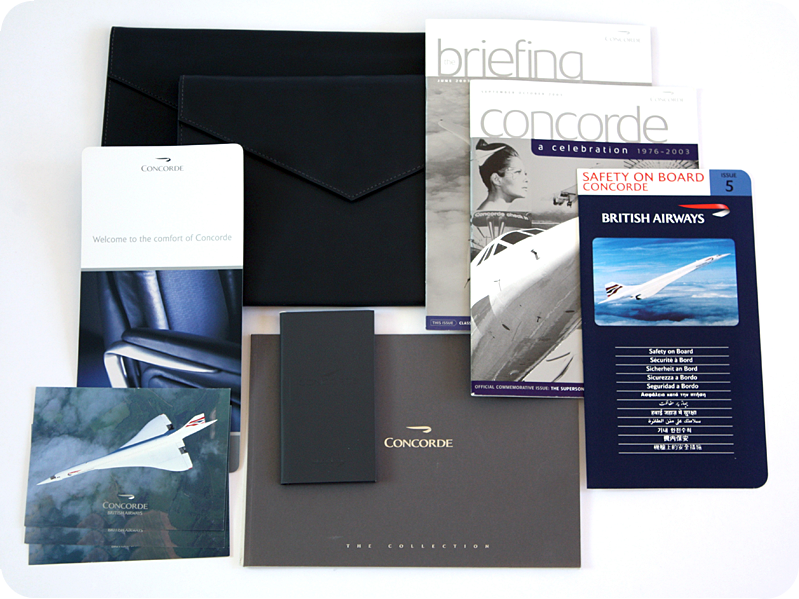 In 2007, I hosted a Concorde dinner but I’m overdue for another one. 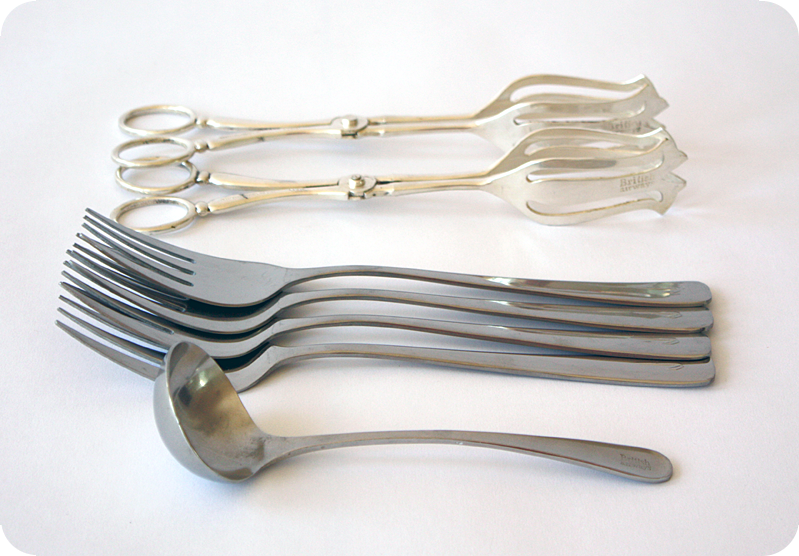 In 2010, I wrote an article on the collection for Core77. 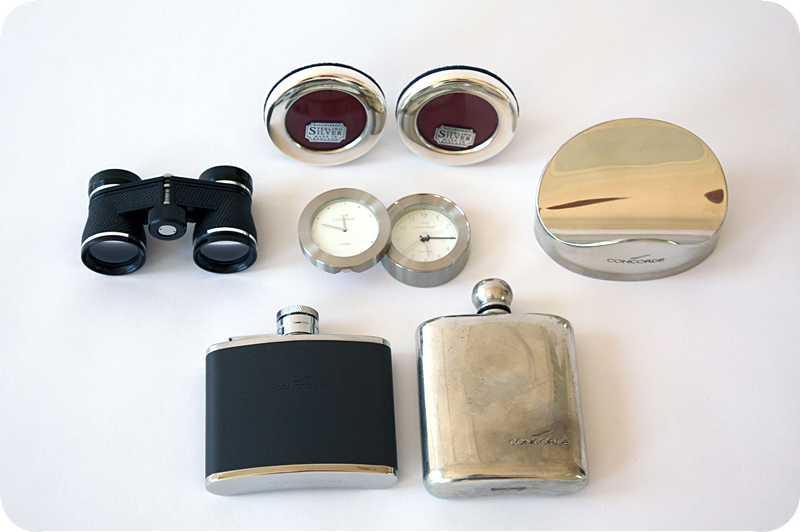 This led to a piece in COLORS magazine on my collection in 2011–with much better pictures than mine (because they were taken by Michael Winokur). 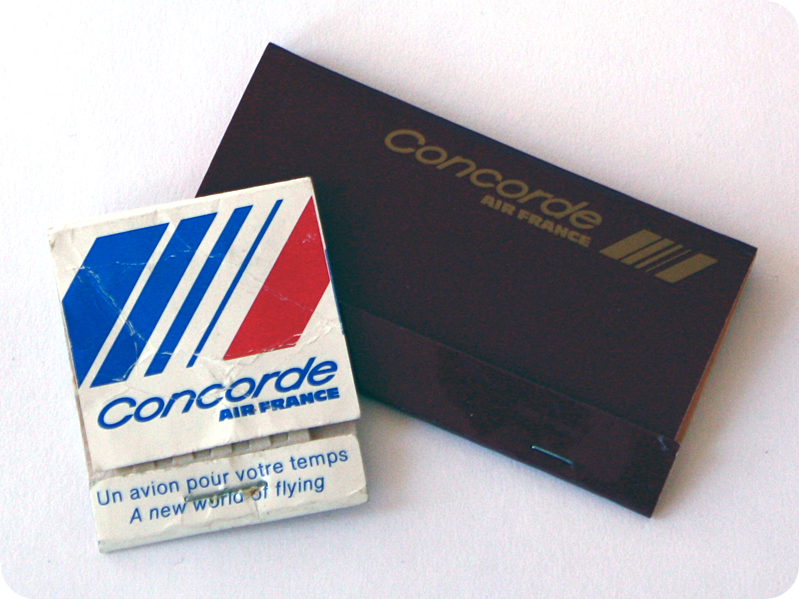 I mostly only collect the last fit of the British Airways Concorde but I have a few items from earlier fits of the BA Concorde as well as the Air France Concorde. 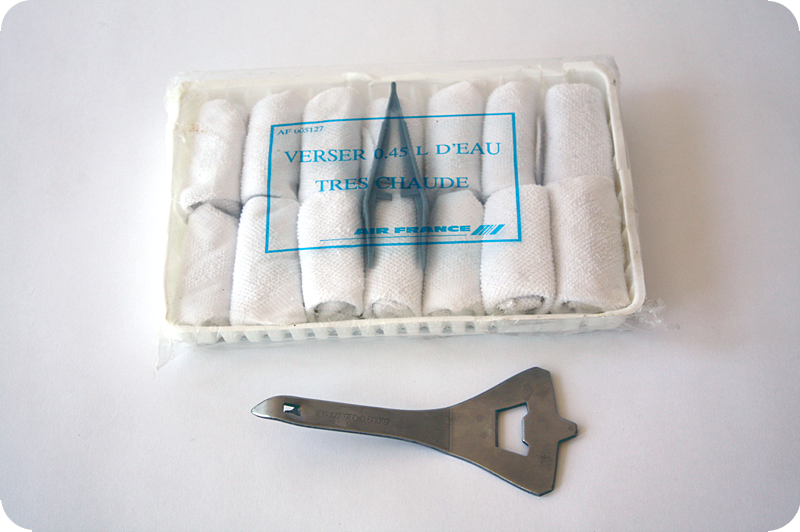 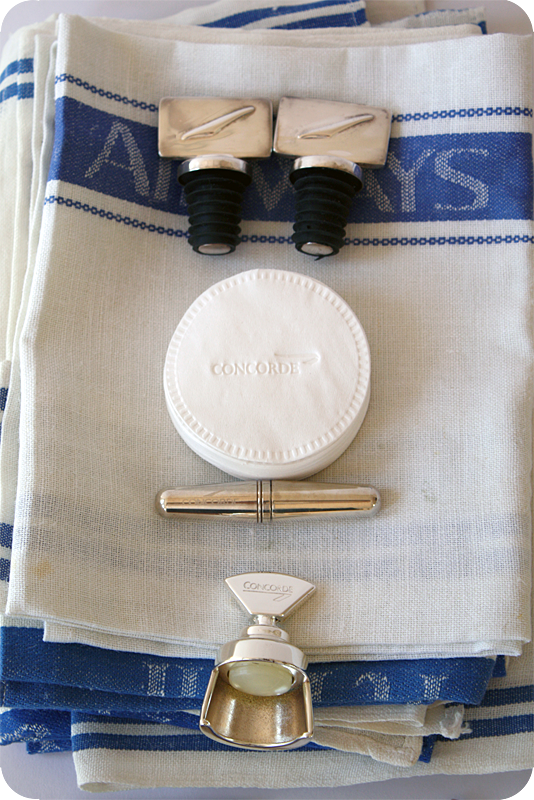 This is a collection of items from the seat in the last service of Concorde. 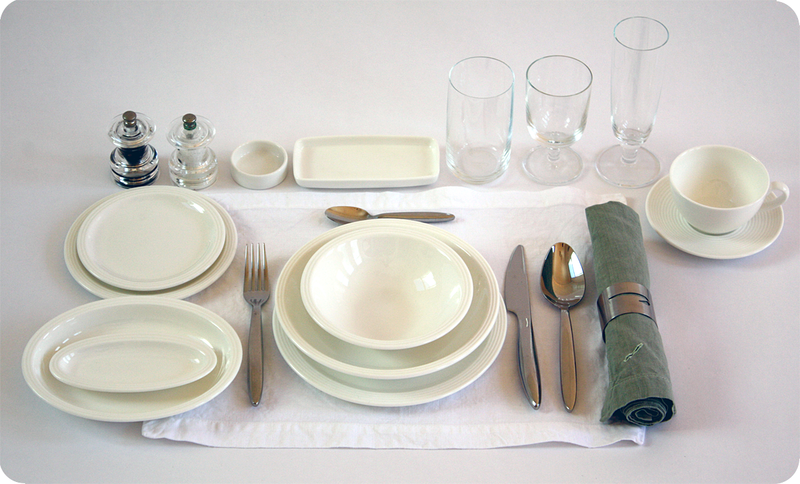 It includes a menu, safety card, instructions for using the stereo system, inflight magazines, shopping catalog, 3 post cards, and a leather notebook. 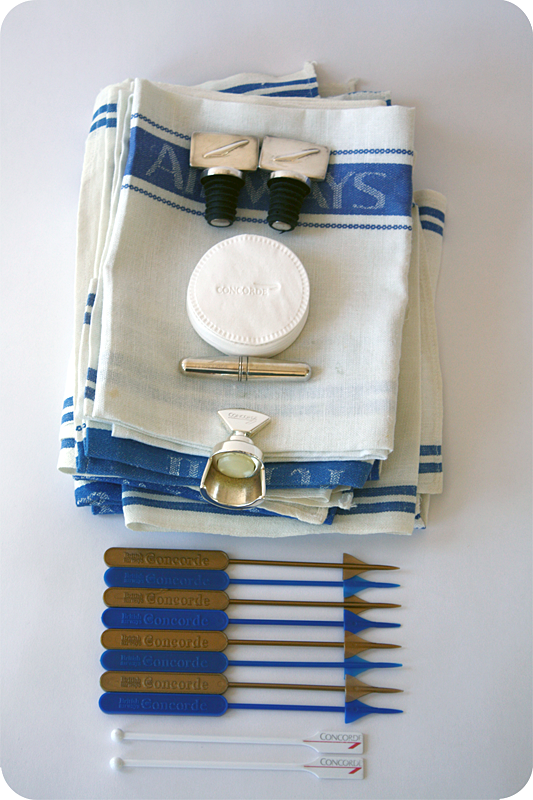 I have two of the leather folders that carry these items. 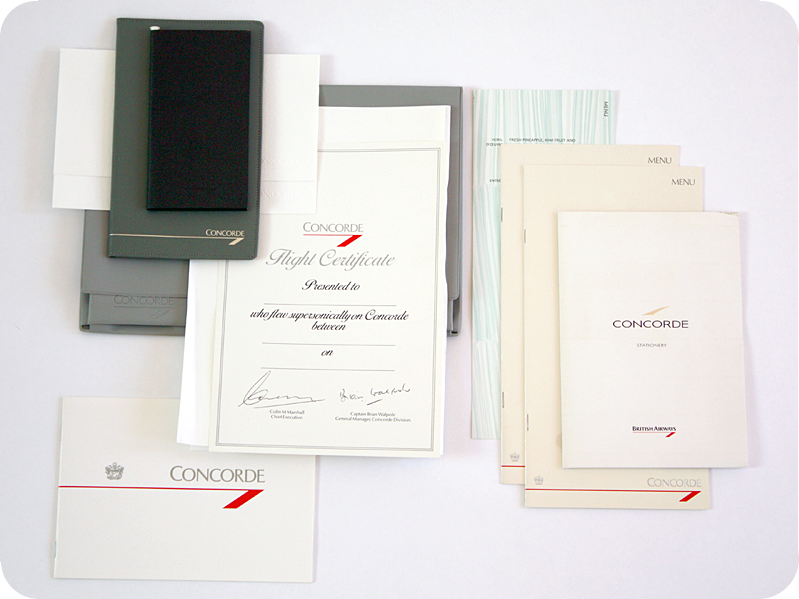 An earlier design, these inflight items include: blank flight certificate, 3 menus, information booklet, several pieces of stationary, and a grey plastic envelope. 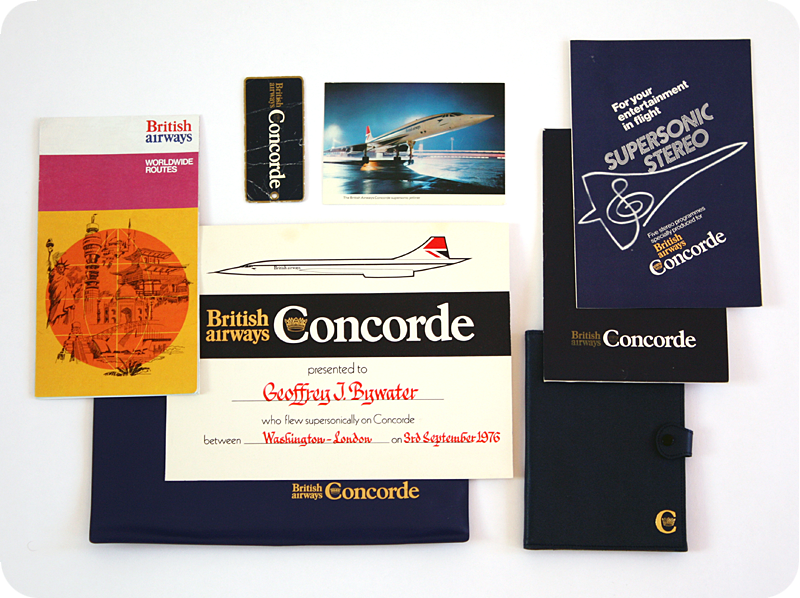 An even earlier design for in-flight brochures, including: a blank flight certificate, inflight magazines, 2 complete tickets with itineraries and envelopes, 4 post cards, an aluminum pen, leather notebook, leather bill fold, and white plastic envelope. 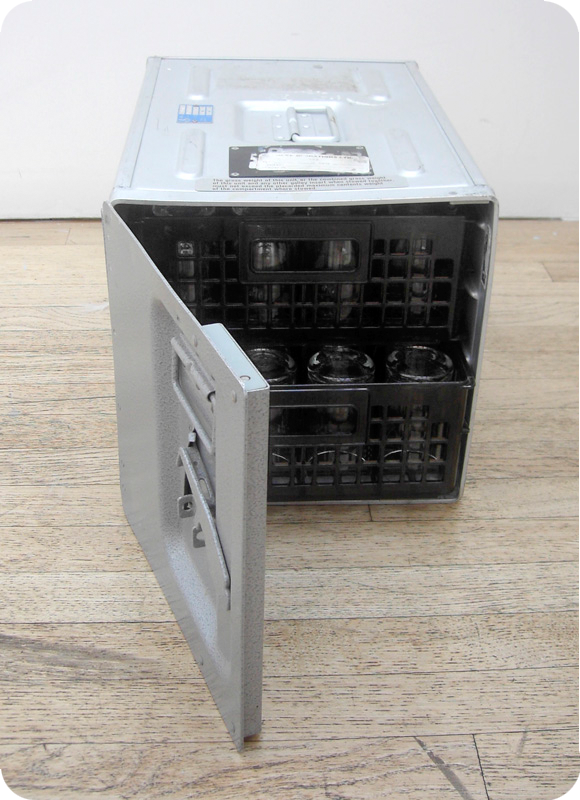 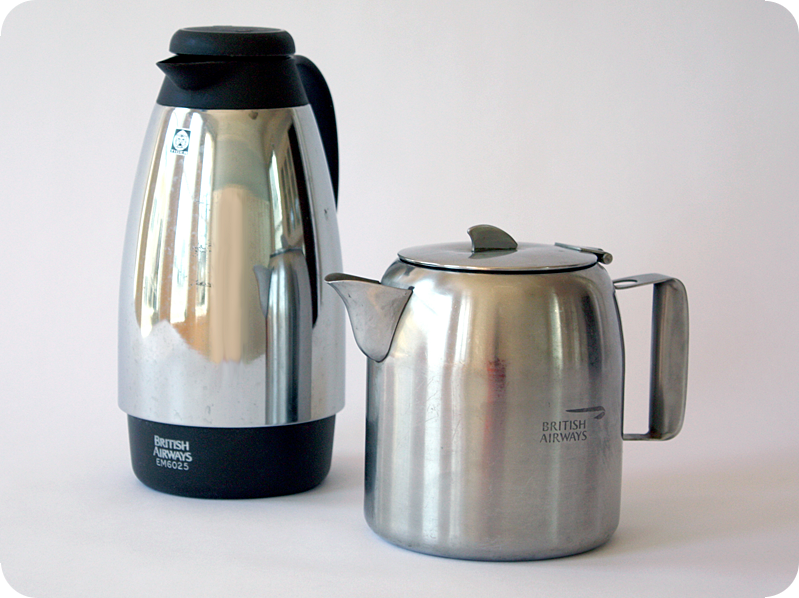 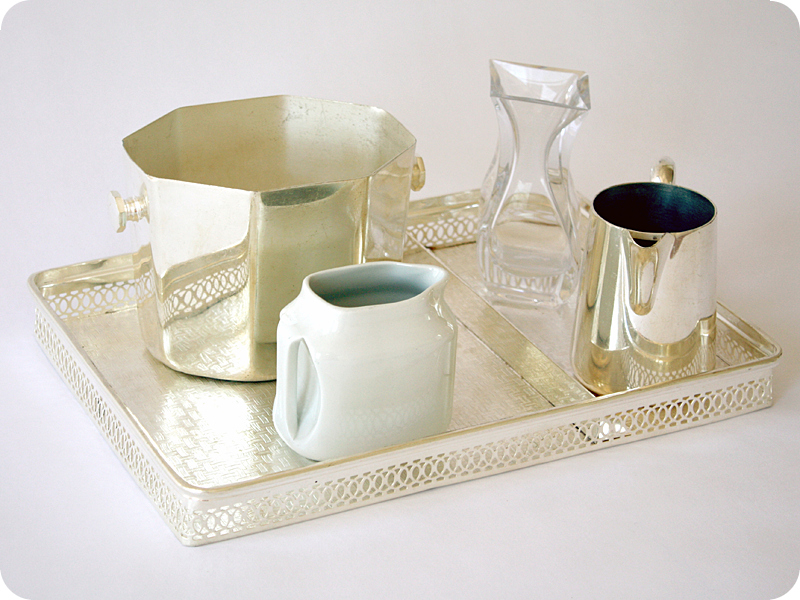 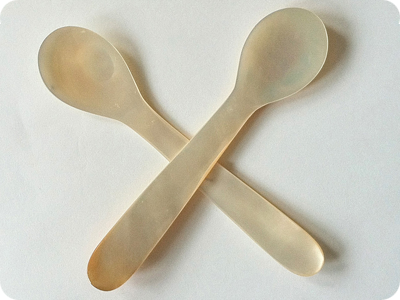 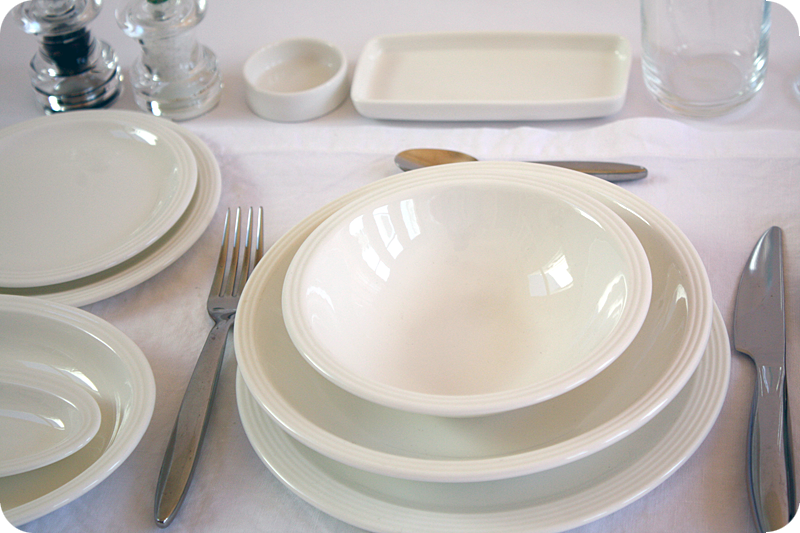 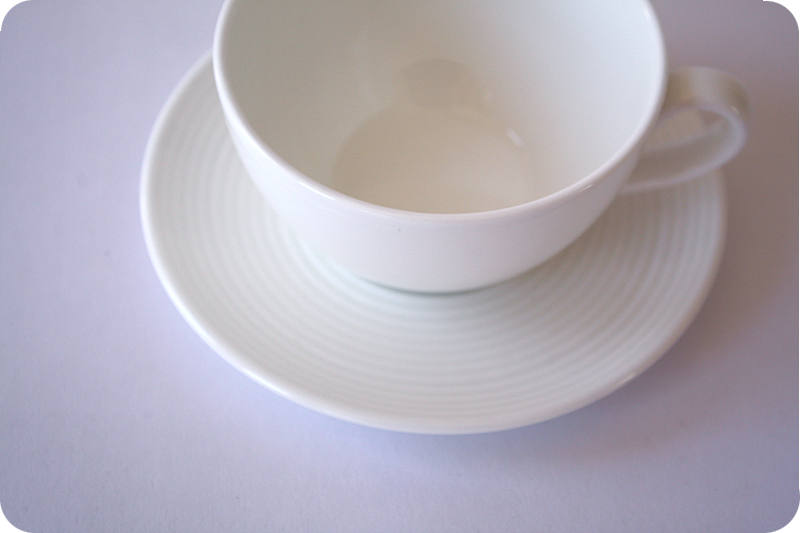 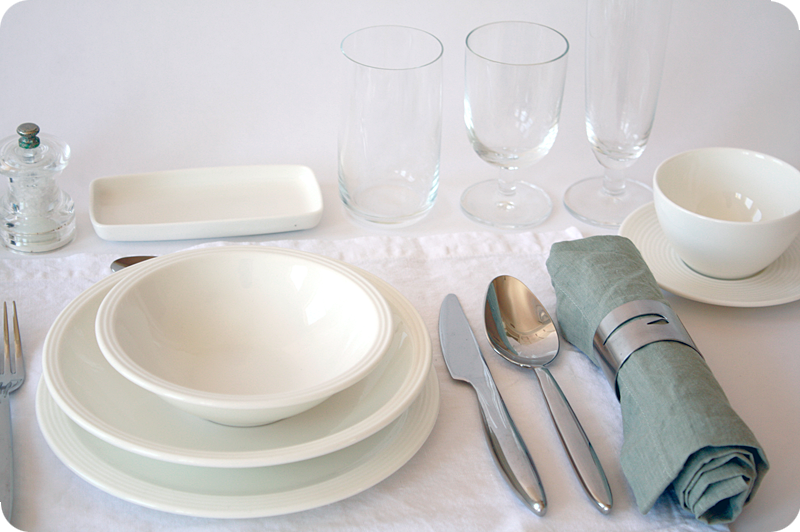 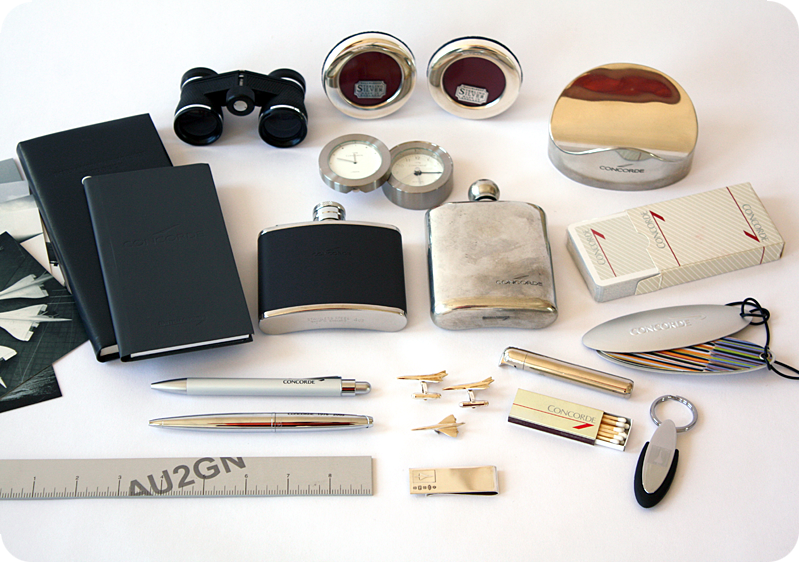 This is a collection of inflight items from the very first design for Concorde flights. 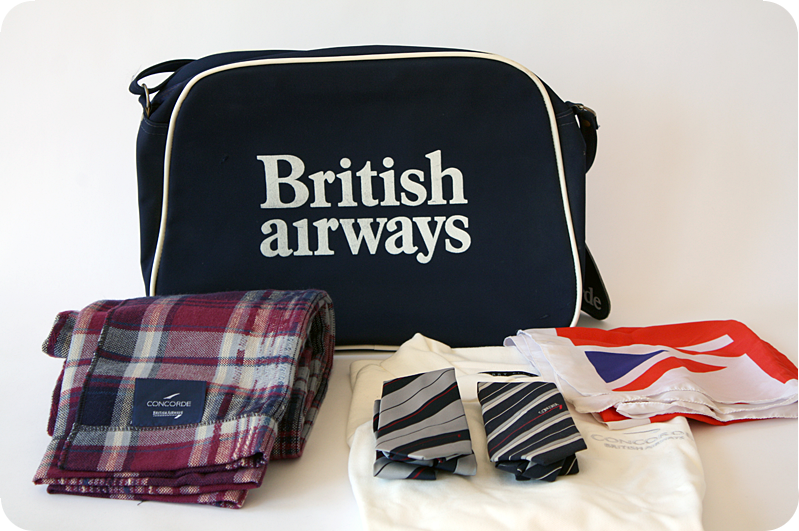 It includes: a signed flight certificate, stereo system instructions, flight timetable, post card, information booklet, baggage tag, billfold, and a blue plastic envelope. 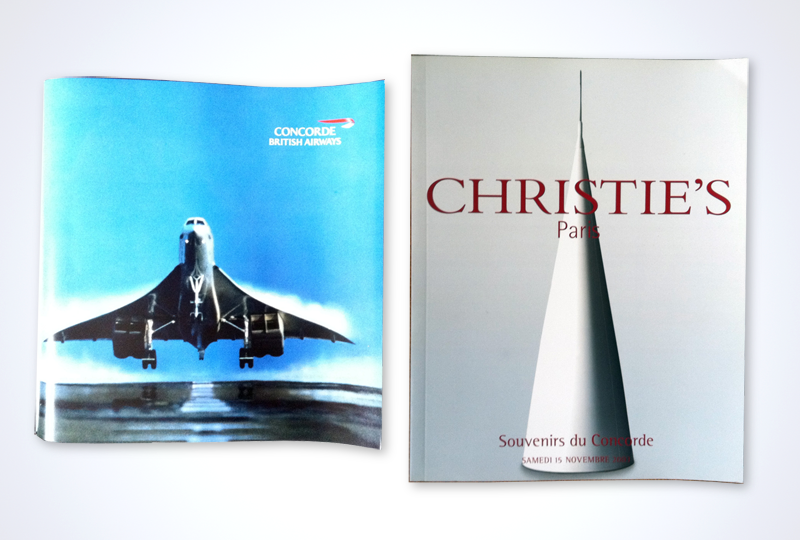 One of these is a brochure for passengers and the others is a brochure from the Christie’s auction of Concorde memorabilia. 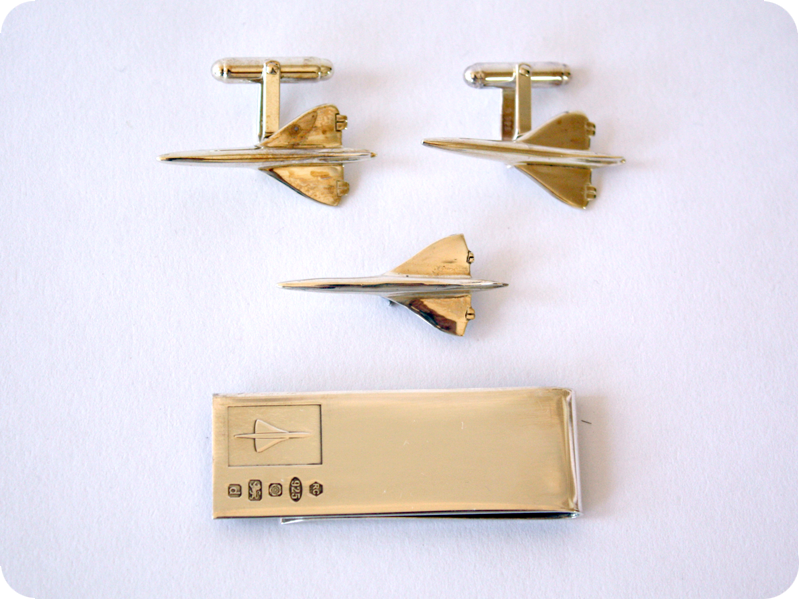 I don’t collect much from the Air France Concorde but these pieces are beautiful, some given to me as gifts.